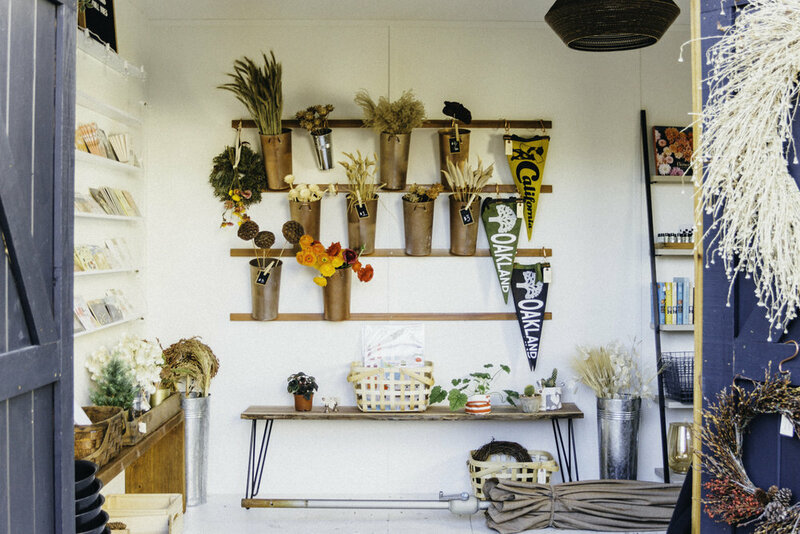 Hello Flowers is a tiny backyard flower shop in Oakland's Laurel District, open Saturdays and Sundays year-round. The flower shop was founded in 2016 by Heather Lee, a writer, editor, and florist based in Oakland. When she's not flowering at the shop, Heather is the managing editor at Minted; before that, she was senior style editor at Brides magazine. To learn more about Heather, please visit her portfolio.